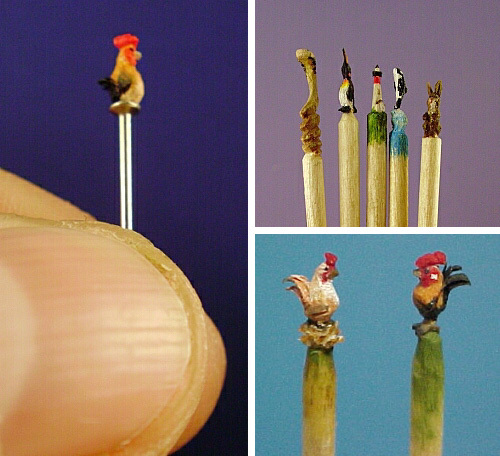 I am going to leave you for the weekend with these awesome micro-miniature carvings by Linda Master. 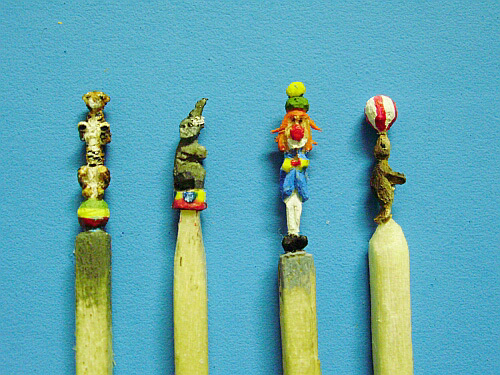 The finely detailed and intricate owl, rooster on the pin, rabbit, giraffe, the circus joker etc. 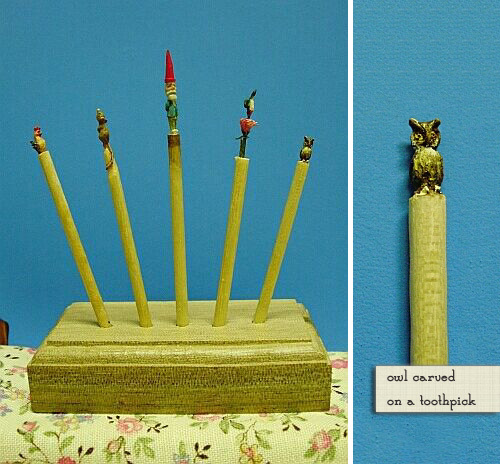 are hand-carved and painted on tooth picks and match sticks (with a magnifying glass?) 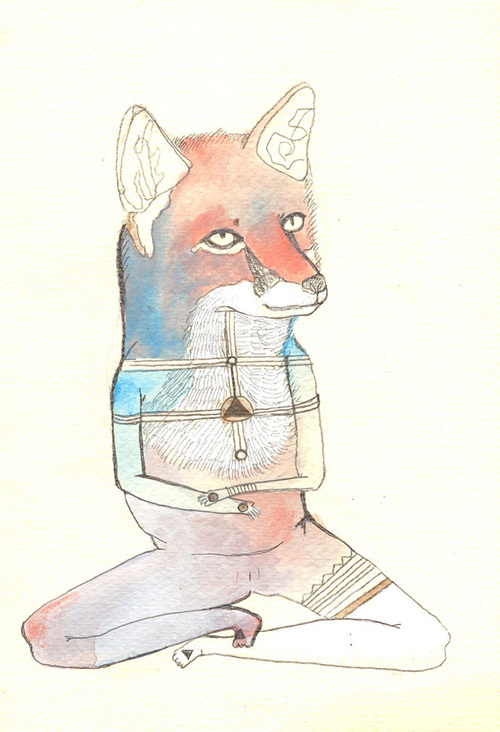 Her work is just jaw-droppingly genius which makes you wonder how she did it and inspires you. 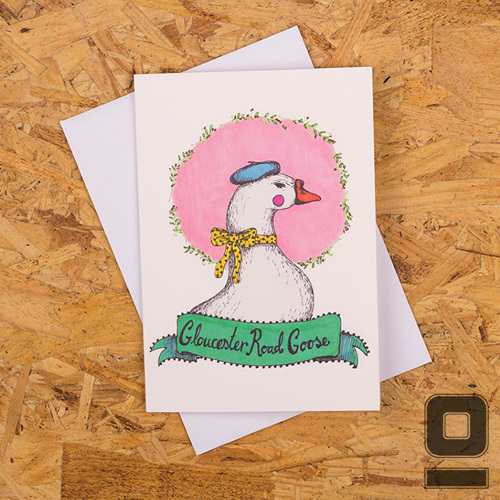 I hope you feel inspired by Linda's delightful work and have a wonderful weekend. I'll see you on Monday, until then you can join me on Facebook. If you have been looking for a perfect new doormat and haven't found the one you love then don't worry because with today's diy you can create your own! 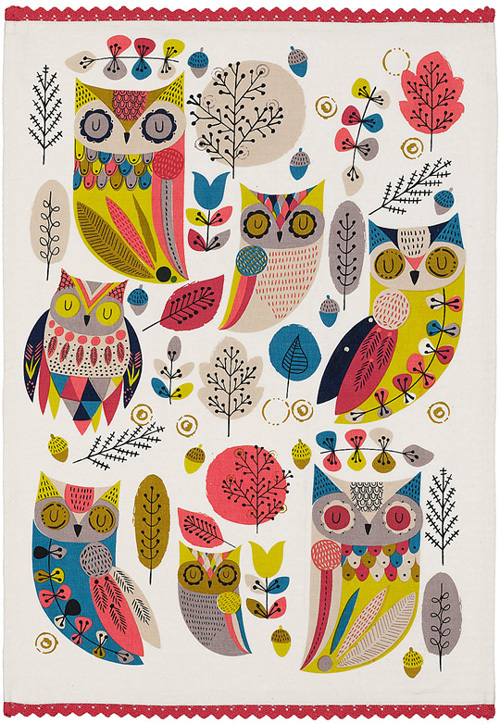 This tutorial teaches you how you can make an owl doormat that is both functional and cute for fraction of the price. 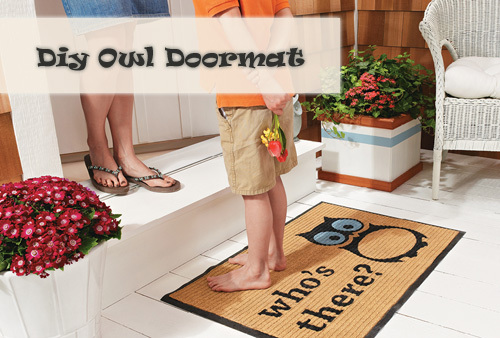 You'll need a plain mat that's durable and suitable for outdoor use (something like this), exterior paint, template for the owl and words which you can download for free and print from this link. 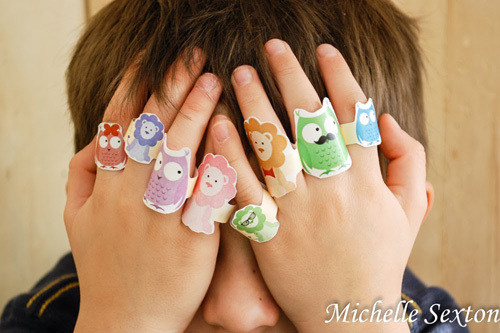 These animal rings by Michelle Sexton is a fun activity to keep kids' busy at summer time at home or for a group play date. 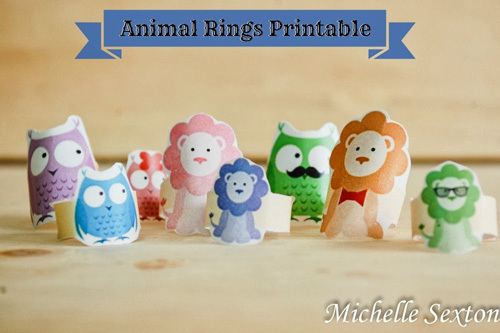 You can simply download the pdf and print to instantly create an army of animals who your kids will enjoy to play with! Please use this printable for personal use only. 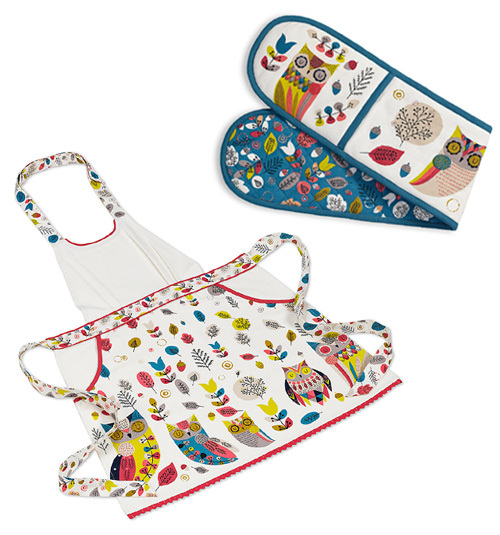 This whimsical collection of oven mitts will bring humour to the everyday kitchen chores as well as protect your hands while you bake those cookies or prepare dinner! I adore them all. It's hard for me to decide which of them is the cutest. If I have to try then owl for sure and that small fish. You? 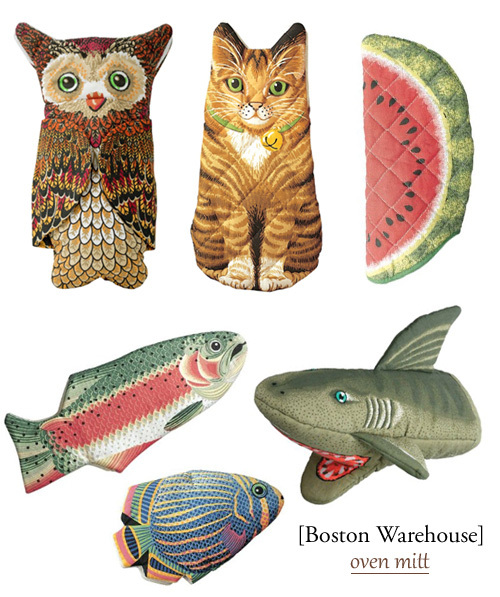 They are produced by Boston Warehouse and can be found on Amazon here. 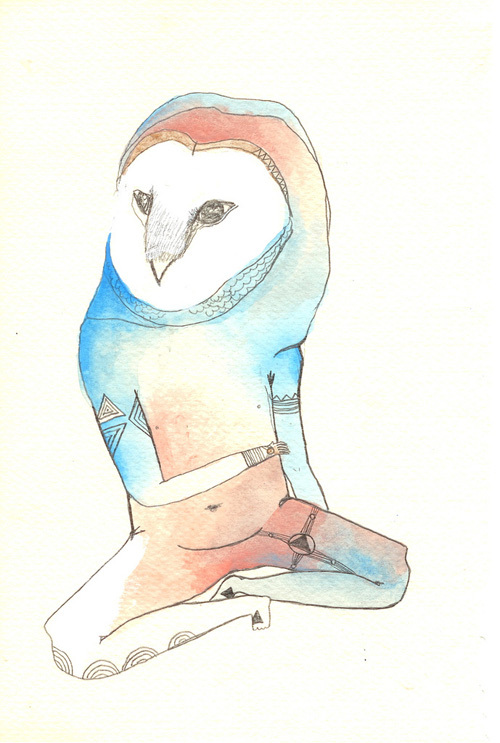 Kelly Rae Burns is a Texas based artist and an illustrator. 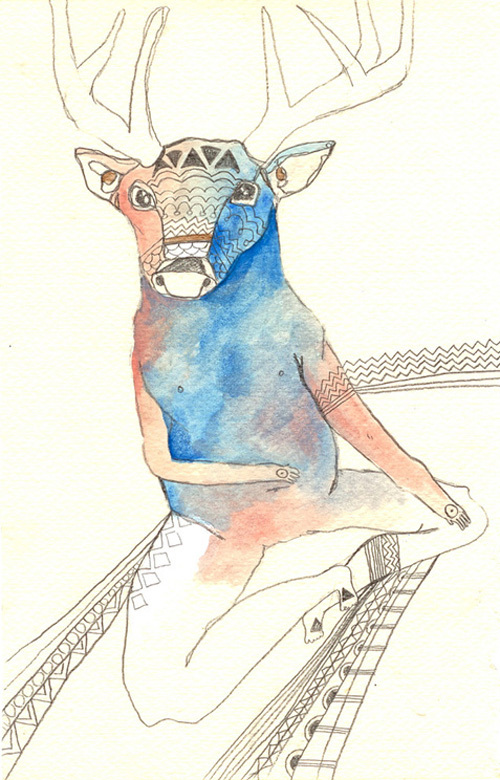 In 2009, she received her Bachelors in Studio Art in drawing and painting from the University of Texas at Austin. One of the primary reasons for which she begun her journey as an artist is to understand her own spirituality and relationship to this world. Her quest for the knowledge has hints in her work as well. 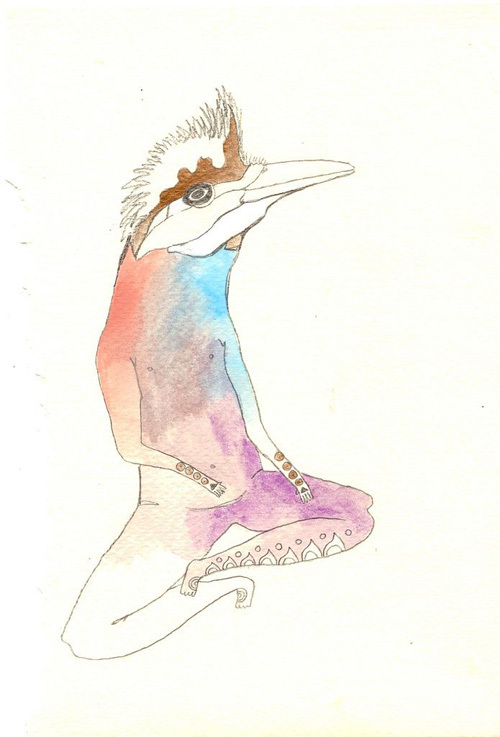 The above animals sitting in meditative poses from "Indian Style" series give her unique drawings a spiritual twist. 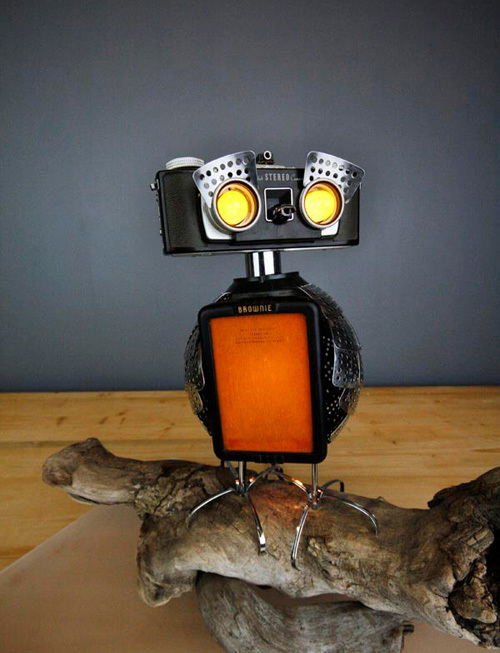 "Mr. Owlberto" the wise owl is one of the sculptures from Camera Creatures series by Milan Bender of Retro Bender. 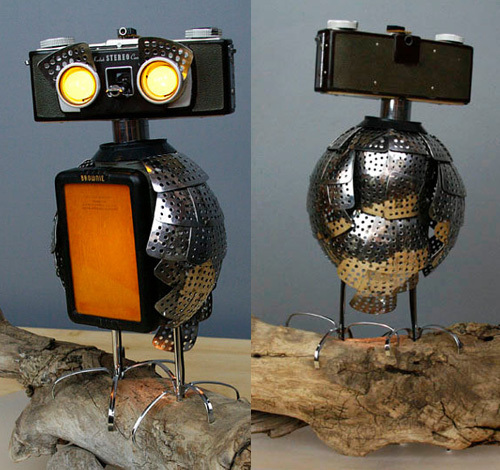 The handmade robot is made using a rare camera and other recycled materials. This little guy has already found a new home but I am so much in love with him that I couldn't resist sharing. 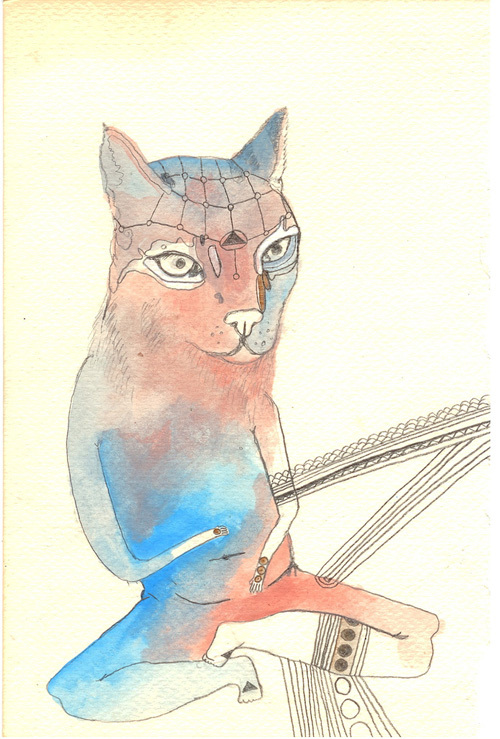 Visit the artist's website to see more of his amazing work. His one-of-a-kind robots are simply a delight to look at. 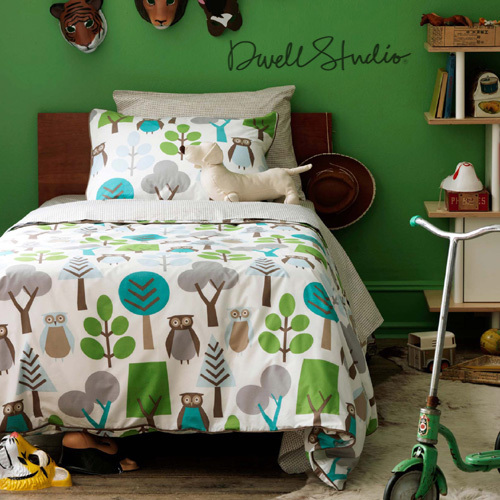 New "Owls" duvet set by Dwell Studio is a fresh take on the classic owl motif from the 50s. 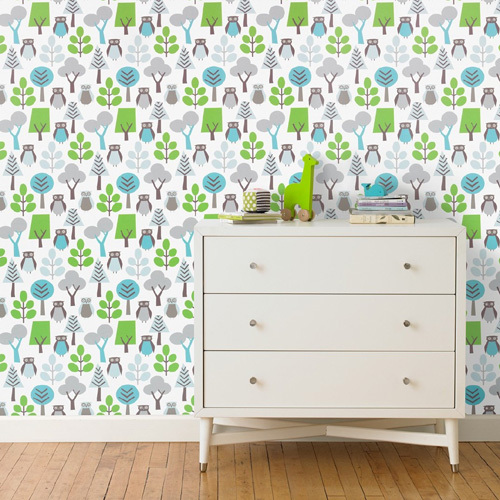 The charming and a sweet set inspired by the woodland creature is ideal for a kid's room. 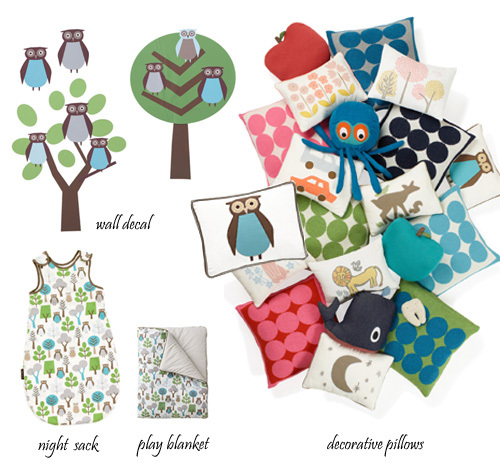 The owl print is also available on pillow, night sack, blanket, wall decals and wallpaper. You can pick your favorites to mix and match to create a unique look. 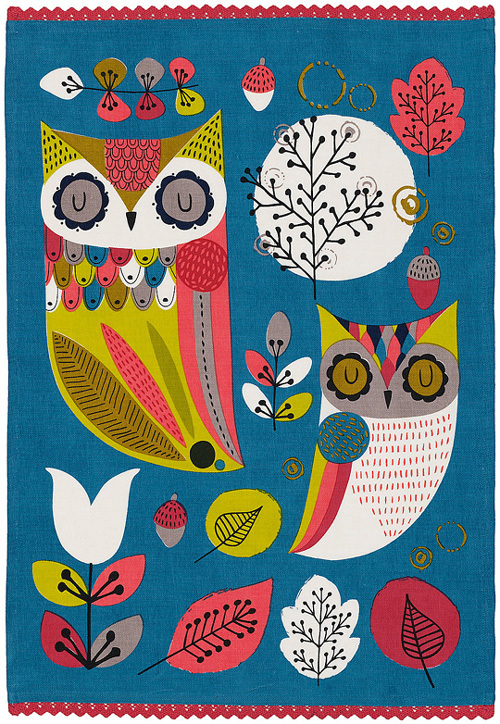 Another product from the Dwell Studio's "Owls collection" that I would like to share with you is the hooded towel. 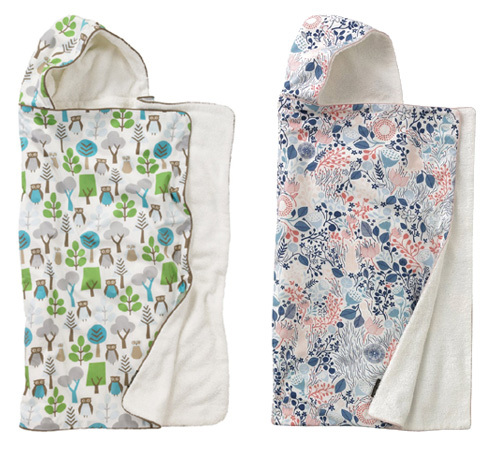 The towel is made with the soft cotton and measure 43" x 28" a generous size for infants and toddlers. 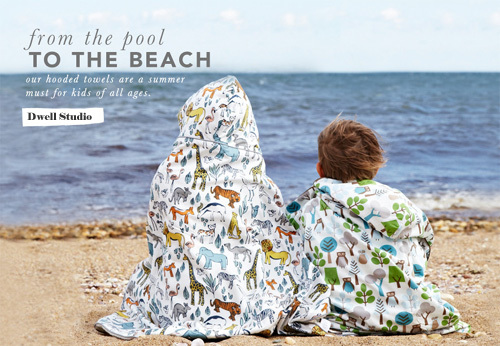 They are available in 8 fun designs that are functional for everyday use and for a beach trip. 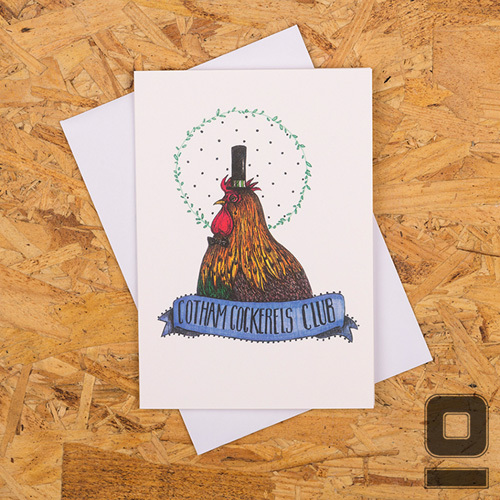 You can find the products from the collection here and here. 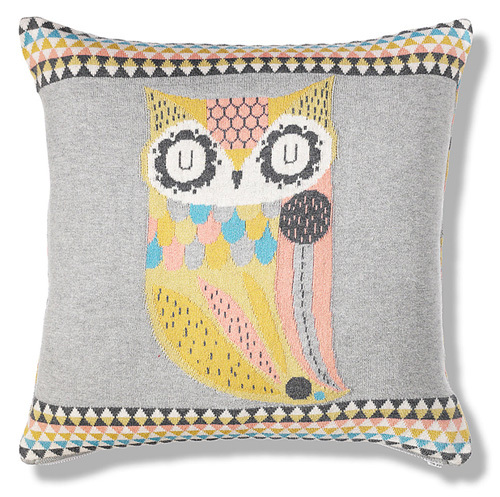 "Autumn Owls" is a brand new range launched by Marks & Spencer. 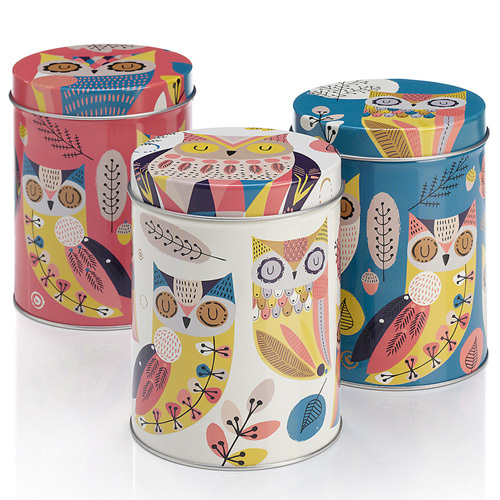 The range features owls in modern geometric shapes along with the leaves, acorns and flower motifs in retro inspired shades of navy, orange and yellow. 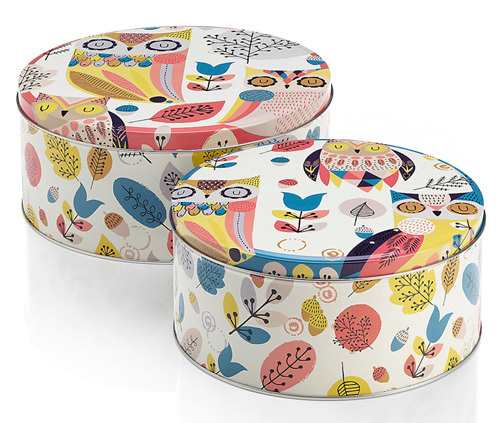 The design is available on a wide variety of products such as tea towels, storage tins, apron, oven mitts, mugs, cups, a round tray and cushion. 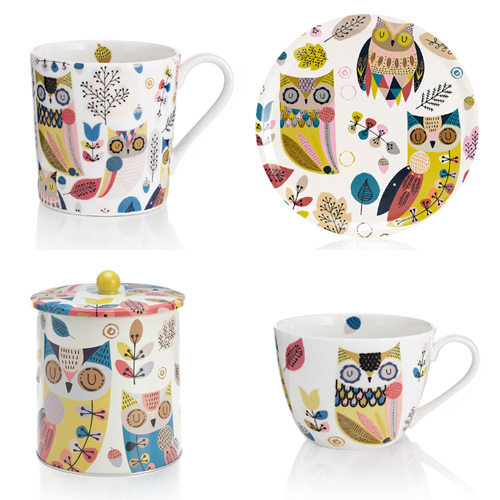 You can see the entire range on Marks & Spencer.com. 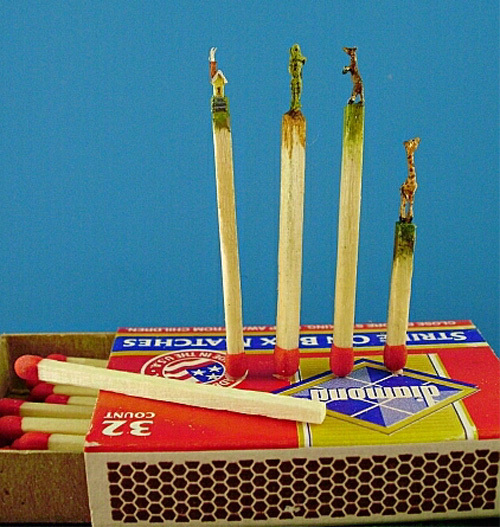 They ship internationally to 30 plus countries, you can read more on shipping on their website. Look what I found! 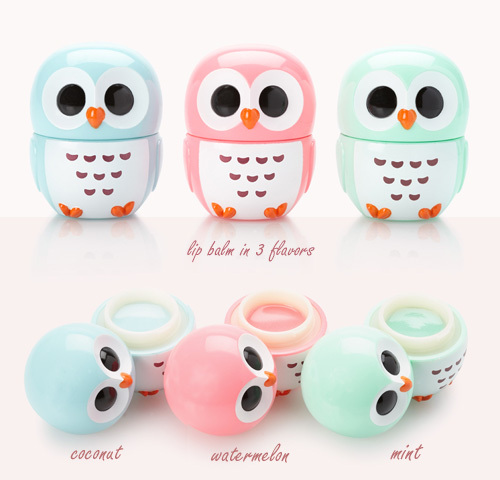 Absolutely adorable owl shaped colorful containers that are filled with hand cream and lip balm. The hand cream and lip balms are available in delicious flavors like coconut, watermelon and mint on Urban Outfitters where I originally discovered them, but there are many more flavors available here. I'd buy these little guys for packaging alone! 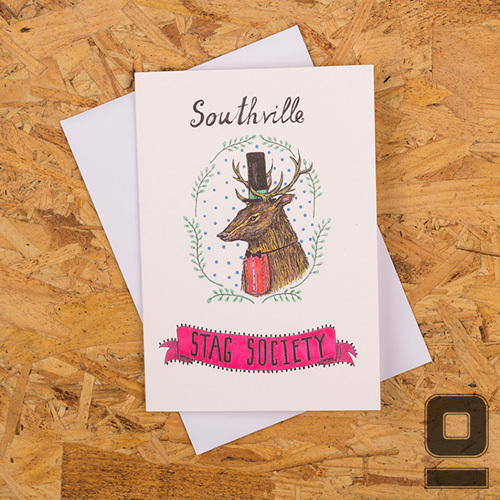 They'll make a lovely gift or stocking stuffer for holidays so get them before that are gone. 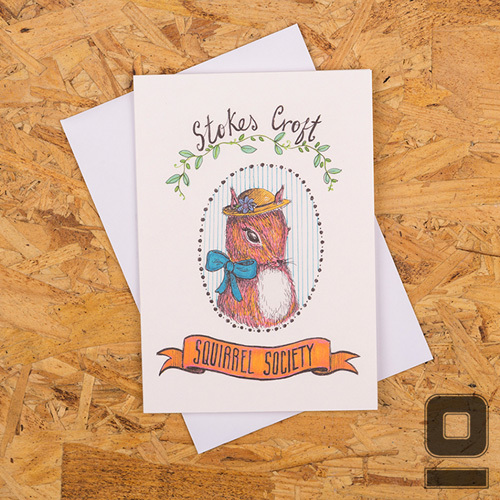 Little Birdy of Little Birdy Crafts is a Bristol based multi-crafter who loves to create work in textile, ceramics and paper. 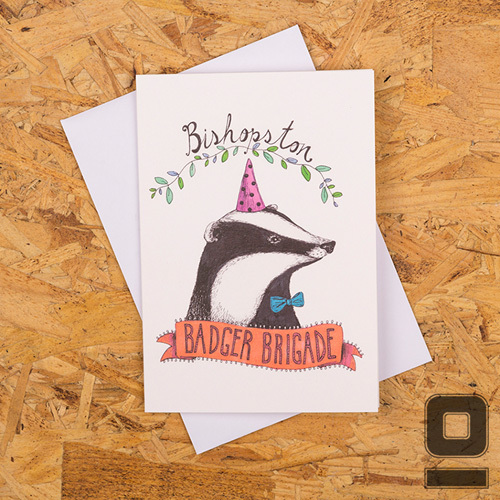 I especially admire the unique collection of her animal inspired cards, combining a British wildlife with much loved areas of Bristol. 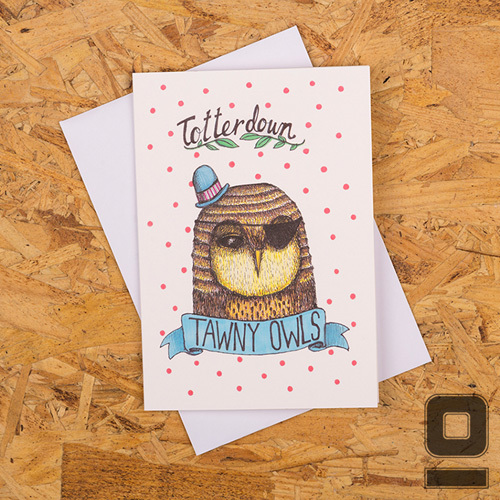 They come in 10 designs - Totterdown Tawny Owl, Southville Stag, Clifton Chaffinch, Montpelier Magpie, Windmill Hill Wren, Stokes Croft Squirrel, Bishopston Badger, Gloucester Road Goose, Hotwells Hedgehog and a Cotham Cockerel. 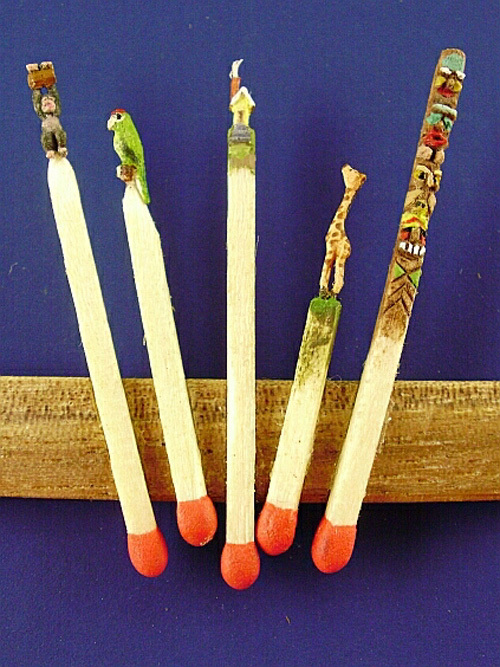 You can buy them as a set or individually from here and here.